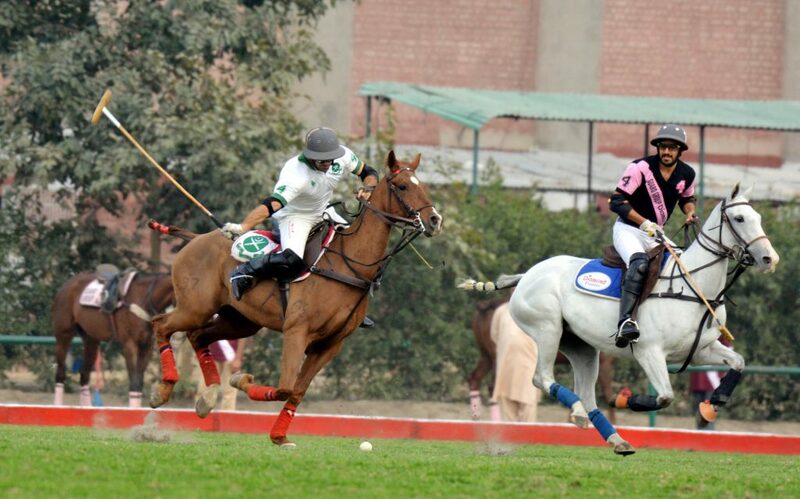 LPC LAHORE:Half goal handicap advantage helped Diamond Paints/Guard Rice beat Army by 5½-5 in the Huaneng Shandong Ruyi Aibak Polo Cup 2018 opening encounter played here at the Lahore Polo Club (LPC) ground on Tuesday. Macos Araya emerged as star of the day as he hammered a hat-trick in Diamond Paints/Guard Rice victory while Eulogio Celestino struck the remaining two goals to complete the tally for the victors. From the losing side, Ignasio Negri scored a brace while Miguel Luis Duggan, Major Omer Minhas and Brig Zulfiqar Ali Baig converted one goal apiece but their efforts were futile in the end. Ignasio Negri provided a good start to Army through his field goal, but soon Eulogio struck an equalizer to make it 1-1. Miguel then succeeded in smashing in a field goal to give Army 2-1 lead by the close of the first chukker. Army dominated the second chukker as well as he slammed in a brace through Brig Zulfiqar and Omar Minhas, who hit one goal apiece, to further enhance Army’s lead to 4-1. DP/Guard Rice’s Macos Araya then started playing aggressive polo and pumped in a field goal to reduce the margin to 4-2. 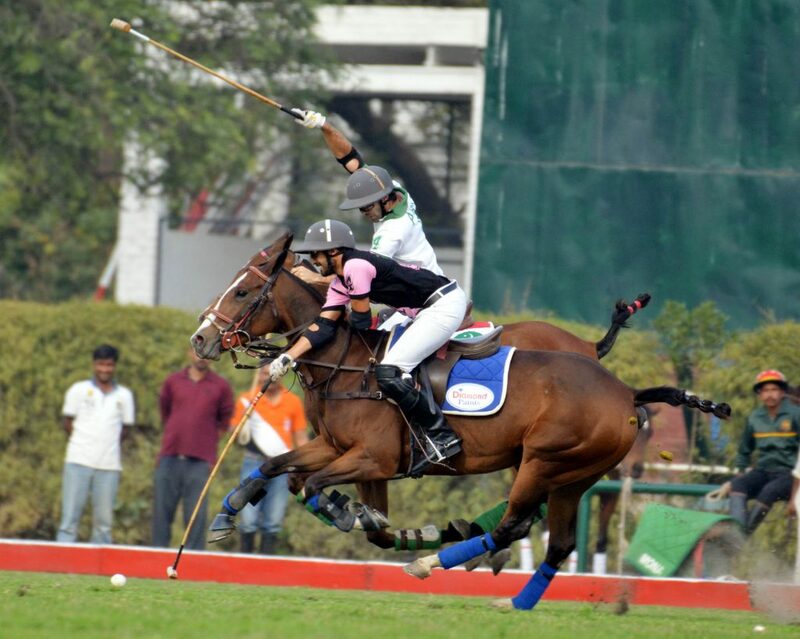 In the very next (third) chukker, Macos fired another field goal to further reduce the deficit to 4-3. The fourth and decisive chukker saw Ignasio once again providing 5-3 edge to Army. At that time, it seemed Army would easily win the match, but DP/Guard Rice players had other ideas, as they got two penalties (spot and 40-yard), which they converted perfectly to level the score 5-5, which remained intact till the final whistle. With half goal handicap advantage, DP/Guard Rice emerged as winners by 5½-5. Howard George Smith and Jason Dixin were the field umpires. 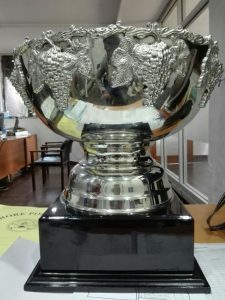 Barry’s will vie against Rijas Aces/PAF at 3:00 pm.